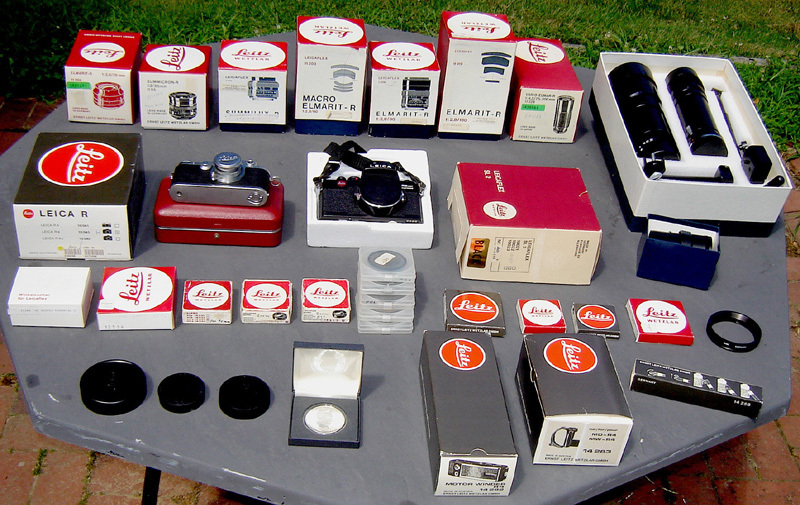 This Leica collection belonged to Frances Hamilton Parcells (1924-1995), from Grosse Pointe, Michigan. She was an amateur/semi-pro photographer. She specialized in portrait, macro, and nature photography. She shot many famous gardens with close ups of plants and flowers. She had a gifted eye for detail in her photographs which carried over into everything she did, including the meticulous care of her equipment. All her Leica gear is in pristine condition. It was used only by her and never subjected to the rigors of a commercial setting. Her Leica collection is pictured and listed below. Binoculars Jason Venture 4000 8x20 341 ft. at 1000 yds. Cable Release AGC (Gauthier of Calmbach) Prontor 16"